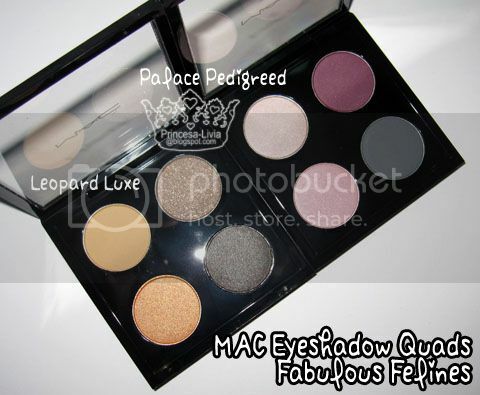 The Leopard Luxe is a warm-toned eyeshadow quad of golds and greys. 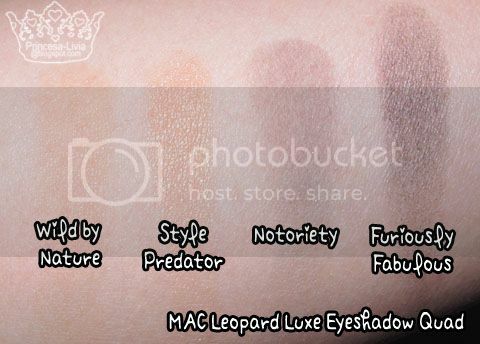 All the colours are pretty pigmented, except for Notoriety. Wild by Nature is a matte camel colour, a lighter version of Cork eyeshadow, which I love for the crease. Style Predator is an orange-gold colour in the lovely veluxe pearl formula. Notoriety is a taupe colour with red flecks; it is the least pigmented of all four eyeshadows, which is useful to avoid over-applying the colour. I think this makes a lovely crease colour. Lastly, Furiously Fabulous is a blackened taupe colour that is a veluxe pearl. 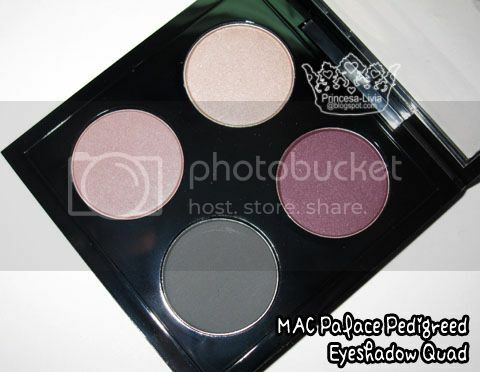 The Palace Pedigreed eyeshadow quad is a cool-toned quad of pinks and purples. 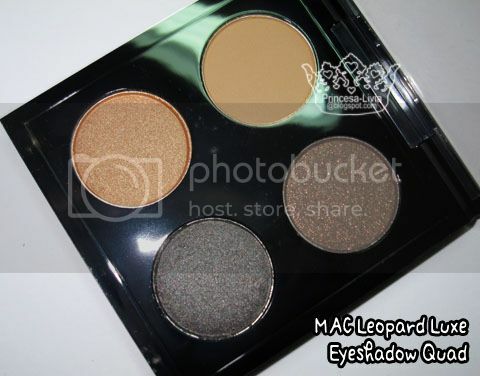 The eyeshadows are satin or matte colours, but they are surprisingly pigmented. This is the quad that really screams 'fall/winter' to me. I love it. Courtly is a dirty-white eyeshadow. Quite Spoiled is a medium-toned mauve. Palace Pedigreed is a dark red-toned purple. Russian Blue is a dark dusty blue-grey colour. I think the Leopard Luxe is awesome! 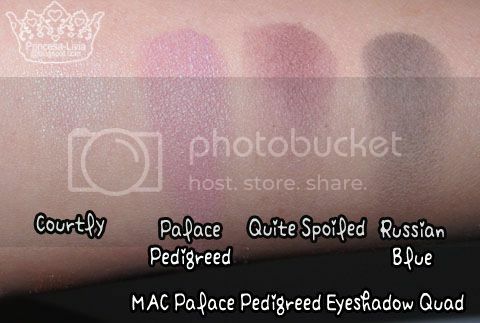 I picked up Palace Pedigreed, I wish the shadows were a bit more pigmented! I like the colors. But I never tried them on myself. I knew you would get the Leopard Luxe Quad eventually LOL I'm now lemming for Palace Petigreed Quad and I must hold out for Venomous Villains collection next week though. I like your Blog to much.